When I drew the quilt layouts in the gallery (below), I rotated and flipped some of the Cherry Blossom designs. In some cases it is effective and in some cases it is not. 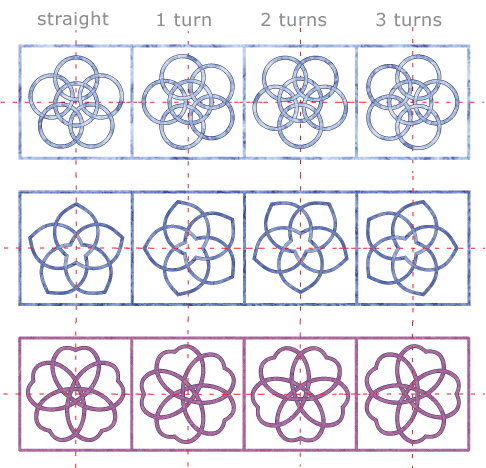 Keep symmetry in mind when you are designing your quilts and arranging your blocks. Return to the San Kamon page. Click on any of the quilts below to see a slide show with bigger images.